I want to introduce to you one of the highlights of my summer in Finland, a 3-day yoga and wellness festival on the beautiful island of Lonna. Magnesia - Heartful Island Festival. This festival is not ordinary. 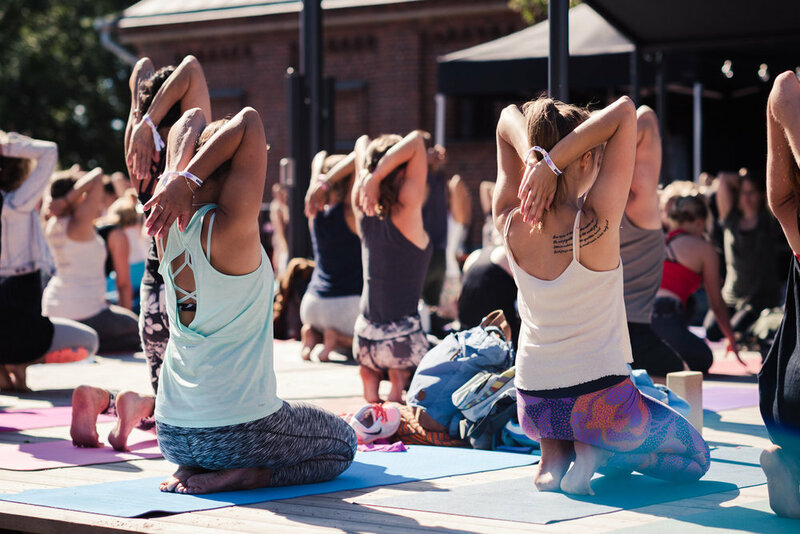 It's programme is filled with wellness workshops, talks, yoga and dance. It brings likeminded people together to enjoy a weekend full of valuable experiences, sharing and learning. Bringing together some of the top instructors and experts - from Finland and abroad, Magnesia truly is an experience you don't want to miss! What I learned last year in Magnesia is that there is no standards you need to pass to be a part of the community. It doesn't matter if you're a yoga enthusiast or a beginner, what matters is a shared seed of interest in holistic living and health. This is what makes the festival so special, everyone is simply letting their guard down and enjoying the moment.